Long before the world discovered Jackie Chan and Sammo Hung, they were members of a children’s Peking opera troupe performing in a Hong Kong amusement park. Painted Faces is the colorful story of the 1960’s adolescent years of Jackie, Sammo, and other moppets who grew up to transtorm Hong Kong action cinema. It was a tough existence, undergoing the intensive acrobatic training under Master Yu (played by Sammo Hung). Cheng Pei-pei is radiant as a Cantonese opera star, in a role that is a transition between her days as Shaw Brothers’ number one swordswoman and her evil nanny in Crouching Tiger, Hidden Dragon. 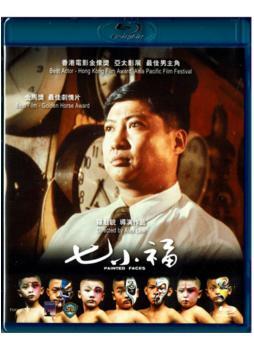 Painted Faces swept the 1988 Hong Kong Film Awards and Taiwan Golden Horse ceremonies, variously winning Best Drama, Script, Director, Cinematography, and two Best Actor statues for Sammo Hung.